The Altador Cup VIII Prize Shop is open and so is our Altador Cup VIII Prize Guide! Head on over and collect your trophy and prizes. It was a good year, good work everyone! While we are all taking a break form the Altador Cup, and waiting for the final results to be in, here we have some items that will most likely be prizes for the prize shop when it it released. Carefull! This guy might explode! What can we say? Bring in the Yooyu plushies! Here I am, did you call for me? For more AC things, please have a lookt at our Altador Cup coverage! Yesterday was the last day for the Fanatics Museum Collectors Corner Flashback Pass so head on over to the Fanatic's Museum to collect your prizes. You can still purchase all of the different tickets until June 30th so don't miss out! Check out our NC Challenge Guide for a list of all the prizes. Today was the last day for the Altador Cup Staff Tournament! Be sure to head on over there and see how many points you won if you participated! Our TNT Staff Tournament Guide has been updated! The last Fanatics Museum ticket, the Fanatics Museum Yooyu Gardens Pass, is now selling in the NC Mall. This is the last week you can get the Fanatics Museum Passas, so get yours before they are gone! Our NC Challenge guide has been updated. The Fanatics Museum Make Some Noise Pass, the latest Fanatics Museum ticket, is now selling in the NC Mall. Music? O well, at least it's a better kind of noise then yelling, right? Our NC Challenge guide has been updated. The item you can get today is the Conductors Tuxedo. We have a new Altador Cup All-Star Userlookup available for all you overachievers out there or anyone who has achieved All-Star in the past or anyone who wants something to motivate them to move up in their ranks. Looking for something different? 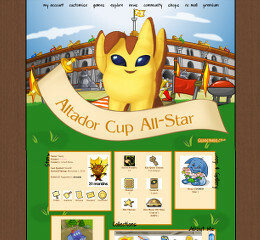 Check out our Altador Cup Goodies Page for more userlookups, goal counters, shields and other fun stuff. The TNT staff tournament has started! Like the years before, you can choose your very own team of staffmembers and earn points along the way depending on how well they will play! You can spend those point in the Staff tournament prize shop when the tournament ends. So what are you waiting for? Get your very own team of staffmembers now! Our Staff tournament guide has been updated! While you are at it, have a look at previous years and see how well staffmembers have been doing in the past! Lawyerbot demands there will be Usuki's in the prizeshop! Wait, what? Was that a yawn?! No way cupcake, it’s time to wake up, it’s Altador Cup VIII time! It’s already been a week since we first kicked off on this month long journey together - where does that time go so quickly? Hopefully you didn’t sleep in too long today as it’s now Day 7 and time to PLAY! * - Make Some Noise has a bonus today!! Our new Alabriss Bracket saw Krawk Island vs. Kreludor, Virtupets vs. Darigan Citadel and Tyrannia vs. Shenkuu. Who celebrated in victory? Let’s find out! Team Krawk Island smashed out two great wins in Yooyuball and Shooutout Showdown in their natural pirate ways (arr yee matey!) and was barely defeated in Slushie Slinger and Make Some Noise, which goes to Team Kreludor. The ever intimidating land of Darigan Citadel showed exactly what amount effort is needed to win, taking Slushie Slinger, Make Some Noise and Shootout Showdown against Team Virtupets, who takes ever-important Yooyuball. Powerhouse Team Tyrannia is still undefeated in Altador Cup VII, taking their sixth straight win. Will the trend continue?! Ugga SMASH, THAT’S A YES!!! Unfortunately Team Shenkuu that means you won, well, nothing. You’re definitely not alone in that against this team! Rolling into the Minitheus Bracket we saw three clean sweeps, going to Team Altador, Team Roo Island and Team Maraqua. Their competition Team Terror Mountain, Team Lost Desert and Team Mystery Island just couldn’t kick their teams into gear today! There’s always tomorrow right? Last but definitely not least is the Vaeolus Bracket which saw Team Brightvale take a sweep against Team Faerieland. Team Haunted Woods scares the knights off their houses and almost sweeps Team Meridell, taking Yooyuball, Slushie Slinger and Make Some Noise. Team Meridell got so mad at that shakin’ jelly chia they shot every yooyu at his face. Every. Time. Whatever it takes to win! Is water better than fire? Beep, wrong! Neither are better, they just cancel each other out. Thus what happened when Team Moltara went head to head against Kiko Lake. Wins in Yooyuball and Make Some Noise for Moltara while Team Kiko Lake celebrates for victories in Slushise Slinger and Shootout Showdown. This cupcake has hearts! Peace offering?! It's the end of the first brackets for Altador Cup VIII, with TNT implementing a "bye" day. This means that any games you play today will count only towards your rank. Don't get too comfortable though - the games start back up tomorrow with all new shuffled brackets - and your team needs you! * Remember that maintenance is scheduled for Midnight, NST! It was too hard for Team Kiko Lake to fare well in space yesterday, only gaining a win in Yooyuball while Team Kreludor takes Slushie Slinger, Make Some Noise and Shootout Showdown. Two teams really brought the pain to the Alabriss Bracket, resulting in two sweeps! Team Darigan Citadel scared the Tiki Tack man so badly he stopped dancing (first time ever) and Meridell demolished all the sand castles built by Team Lost Desert. Team Krawk Island had to physically glue Brightvale back together after their last day together in the Minitheus Bracket, gaining wins in Yooyuball, Make Some Noise and Shootout Showdown. Well, at least pirates love a confusing puzzle! Team Brightvale stayed persistent in their pursuit of great slushies, making a certain Tuskanniny proud with their one win in Slushie Slinger. Ugga SMASH part five?!!?! Oh my Grarrl, this team is on fire! Five days and five sweeps, Team Tyrannia continues their legacy in Altador Cup VIII with yet another sweep against Team Maraqua. Oops, they did it again! Team Haunted Woods is finally kicking their way back into the winners’ circle with their first sweep this season against Team Terror Mountain. Yippee! The only two teams willing to spend the “bye” day together after yesterday in the Vaeolus Bracket is Team Virtupets and Faerieland, who tied. This is the strongest we’ve seen Team Faerieland against an opponent so far, with two wins in Slushie Slinger and Shootout Showdown! Virtupets is equally as proud with their victories in Yooyuball and Make Some Noise. Team Altador takes their fifth sweep in the last day of our first round of matches, this time against Team Moltara. Those flaming creatures didn’t even see it coming! Team Roo Island dominates with three wins in Yooyuball, Slushie Slinger and Shootout Showdown against Team Shenkuu, who only captured Make Some Noise. Alabriss Bracket: Tyrannia, Krawk Island, Darigan Citadel, Kreludor, Shenkuu and Virtupets. Minitheus Bracket: Altador, Roo Island, Maraqua, Lost Desert, Mystery Island and Terror Mountain. Vaeolus Bracket: Meridell, Haunted Woods, Brightvale, Kiko Lake, Faerieland and Moltara. Check back Friday for another Altador Cup Match Report!! Our Altador Cup Customisation Overview guide has been updated. This page holds all of this years AC related wearables. 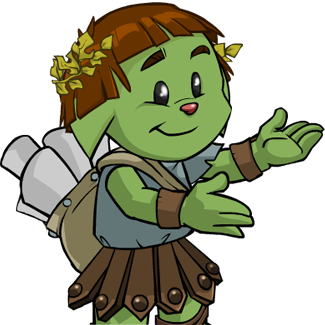 Want to have a look at all the items your Neopet can wear for the AC? Go have a look! If you want to have a look on how these items will look on your Neopet, try them on in our Dressing Room! We are still missing a good deal of previews, so if have a look at our Model page to see what we are still missing and how you can help us with this! A massive collective effort was made today on Day 4 of Altador Cup VIII, with slushies flying through the stands and crowds roaring on their feet. Just remember to be nice to those who work the stands - they have to clean up after you! * - Our favorite green Kacheek is back to remind you that it's bonus time! Each game of Slushie Slinger that you play will gain your team even more points than usual. Make the most of it!! Starting at the top with the Alabriss Bracket, we have Altador Cup VII winners Team Kreludor dominating the competition yet again! After winning only two games the last two days, they've made a giant comeback by sweeping Team Lost Desert in Yooyuball, Slushie Slinger, Make Some Noise and Shootout Showdown. Team Darigan Citadel showed everyone just what purple and black fury looks like, taking wins in Yooyuball, Make Some Noise and Shootout Showdown. Shaken but steady, Kiko Lake fought hard for a win in Slushie Slinger. Hopefully Team Kiko Lake will have just as much force with Slushie Slinger today with this bonus! Our favorite medieval fighters Team Meridell wasn't fazed by the dancing of the Tiki Tack on the sidelines, sweeping the board with wins in Yooyuball, Slushie Slinger, Make Some Noise and Shootout Showdown. Sorry about that Team Mystery Island ... but you win a Booby Prize!!! Ugga SMASH part 4?!!! It can't be, can it? Oh yes, yes it can! Team Tyrannia is continuing their sweep streak for the fourth day in a row, taking out yet another team in the Minitheus Bracket, Team Brightvale. Cheers to you, Tyrannia, and especially to those lovely, under appreciated Grarrls of yours! Team Krawk Island is raiding the competition with their second sweep, this time against Team Terror Mountain. They've stopped plundering for treasure and started going for the pure joy of winning. And on the flip side Terror Mountain is too busy selling things at a garage sale and making igloos. Ahh, the joys of living on a mountain that's constantly snowing! Scaring their way to a victory in Yooyuball, Team Haunted Woods just couldn't configure a way to frighten Team Maraqua off the field. The ocean is no place for land creatures! Maraqua takes three wins today in Slushie Slinger, Make Some Noise and Shootout Showdown. Another team to make four straight sweeps in a row is none other than Team Altador! Looks like they've been studying at the Altadorian Archives all off-season to find each team in the Vaeolus Bracket weakness; or just learned how to obliterate everyone in everything. Whichever you choose! Unfortunately for Team Virtupets that was the outcome for them today, swept by Altador in Yooyuball, Slushie Slinger, Make Some Noise and Shootout Showdown. Team Roo Island swept Team Moltara with their Blumaroo positivity, leaving nothing but crooked smiles of defeat on their opponents. Team Shenkuu surprised everyone with three wins in Yooyuball, Slushie Slinger and Shootout Showdown today. You thought they were meditating in a zen garden this whole time? HA! Team Faerieland scored their second win in Altador Cup VIII, this time in Make Some Noise. Wahoo! Now that this report is over go out and sling some slushies (remember the bonus points!! ), score on a jelly Chia, fling a yooyuball and scream your heads off. Just don't get a brain freeze.. those hurt. Slinging slushies by the DOZENS? Yes please!! Team Kreludor seems to be suffering from the after curse of winning Altador Cup VII, losing all but Slushie Slinger to Team Meridell. Looks like the addition of Ethel Boortz is paying off for Meridell, who takes wins in Yooyuball, Make Some Noise and Shootout Showdown. Space exploration can wait - it's Altador Cup time guys!! It looks like Team Lost Desert has finally brought the sandstorm to the Altador Cup, burying Team Mystery Island in Yooyuball, Slushie Slinger and Make Some Noise. Don't count Mystery Island out yet though - they still won Shootout Showdown! Maybe that tiki fellow had to do something with that one. The games between these two were all very close, but in the end Team Darigan Citadel gained the advantage (and the wins) in Yooyuball, Make Some Noise and Shootout Showdown. Team Kiko Lake drowned out their competition in Slushie Slinger because they accidentally exhausted themselves playing too much Cellblock. Stop distracting people Master Vex! We're starting off the Minitheus Bracket with a sweep in the form of our loudest pirates, Team Krawk Island. Facing them for the second day in a row, Team Haunted Woods just couldn't pull it together to beat Krawk Island in any game today. Team Terror Mountain pulls of a slight upset for Maraqua, beating them in Yooyuball. Team Maraqua still brought the fire (or lack thereof) to the days' games, winning Slushie Slinger, Make Some Noise and Shootout Showdown. Ugga SMASH part 3!!! Getting mad I keep saying that? Take it up with Team Tyrannia! This powerhouse team has taken out their Day 3 competition with a third consistent sweep. Team Brightvale should've stopped reading and started fighting! In the Vaeolus Bracket, Team Altador is chariot racing circles around their competition Team Virtupets today, sweeping them in all four games. Way to bring the fire! Team Roo Island will find good company with Altador today, soaring right over Team Shenkuu and their daily meditation chants and stretches with a sweep in Yooyuball, Slushie Slinger, Make Some Noise and Shootut Showdown as well!! Our last match of Day 3 was Moltara vs. Faerieland. Team Moltara accidentally demobilized Faerielands' wings, resulting in loses in Slushie Slinger, Make Some Noise and Shootout Showdown. However resilient Team Faerieland made a comeback on the ground with their first win of this year in Yooyuball! Wondering who's going to bring the heat and who's going to get burned tomorrow? Check back tomorrow for yet another Altador Cup VIII report. You can also check out our Match Schedule to see who's playing - or has played - who! Don't worry, we have a fire extinguisher. Have to get myself ready for Day 2 results!! All the excitement from Day 1 of Altador Cup VIII has continued to flow into Day 2, with many great victories and team triumphs! Out of nine matchups, we saw five sweeps and two ties. Another great thing to note is that TNT has released Fanatic's Museum which is sure to involve some great fan items! Fanatics Museum Scholars Retreat Pass is now available for purchase at the NC Mall. Who will be crowned king (or queen) from yesterday? Let's see! Their winning streak from yesterday just couldn't continue, with Team Kreludor only taking one win from Slushie Slinger at the end of Day 2. Team Meridell smashed last years' winners, beating them in a grand total of three games: Yooyuball, Make Some Noise and Shootout Showdown. Looks like these knights in the Alabriss Bracket are really bringing it! Team Darigan Citadel crushed Team Lost Desert back in to their sandy land, taking a clean sweep in all four categories. Lost Desert was in good company with Team Mystery Island, who also lost all four games to Team Kiko Lake. Would you like a broom, guys? Krawk Island almost swept Team Haunted Woods, only losing Make Some Noise to their spooky opponents. Team Krawk Island raised their piratey flags, cheering to the fact they won Yooyuball, Slushie Slinger and Shootout Showdown. They've held a solid second place in the Minitheus Bracket for the last two days, right below Tyrannia. Ugga SMASH part two!! The trend of Team Tyrannia absolutely obliterating the competition continues. The only sweep in this bracket is taken by the warm bodied fellas, drying out Team Terror Mountain too much to go forward. Oops. Can't handle the heat? Get out of the Altador Cup! The first of the two ties comes from Brightvale vs. Team Maraqua. Both held their own, but couldn't rise above, each taking home two wins. Our underwater friends slung slushies at a shakin' jelly chia just enough to wins in Slushie Slinger and Shootout Showdown. Team Brightvale is keeping it consistent, taking wins in Yooyuball and Make Some Noise, just like they did on Day 1. Our last three matches in the Vaeolus Bracket saw two sweeps and one tie. Moltara and Virtupets just couldn't gain an advantage on one another, resulting in a tie. Team Virtupets barely won Yooyuball but killed it in Make Some Noise, while Team Moltara won Slushie Slinger and Shootout Showdown by bringing the heat. Team Altador is seeing some results from their practice training, gaining a major early lead on the competition. First in their bracket, Altador swept away Team Shenkuu with a bang. Maybe they were too focused on meditation to dive into the chaos of the Altador Cup? Ehh, it happens. Team Roo Island bounced over their flying opponents Team Faerieland with the last sweep of Day 2.
Who will come out on top tomorrow? We'll all just have to wait and see. Remember that you can overview SunnyNeo's Altador Cup VII Customisation Spotlight winners for inspiration on how to dress your pet for this years' games! SCREAM ON ALTADOR CUP VIII FANS!! Seems like the Techo Fanatic is finally letting us steal have some of his Altador Cup memorabilia. So be sure to pick up a Fanatics Museum Scholars Retreat Pass from the NC Mall. For activating this ticket pack you get 3 items themed around the Altador Cup team you joined. As if those items aren't enough you also receive an item for today. We now have our NC Challenge guide up showing all the items that you can get. Did you get some of the items? Then please help us model them! Check out what we need at our Model For SunnyNeo page. Want to see what they look like on your pets? Visit SunnyNeo's Dressing Room. The fans have been in full force supporting their teams with the kickoff of Altador Cup VIII yesterday. Witty board titles, game challenges and team fonts? What could be better! Can't believe it's been a year since the last Altador Cup and have since forgotten how to play with those tricky Yooyuballs? Check out our great Yooyuball Guide! * - This is a reminder that Shootout Showdown is the first BONUS POINTS game, meaning you get more points than usual for your team while playing this game! Now that all our first day announcements have been announced, let's get those Day 1 results rolling, shall we?! In the Alabriss Bracket we saw Mystery Island vs. Kreludor, Meridell vs. Darigan Citadel and Lost Desert vs. Kiko Lake. Looks like Team Mystery Island got too spacey (ha ha) while playing Team Kreludor today. Surprisingly Kreludor took no hit to their scores even after winning last year! They closely swept Mystery Island today in all four games: Yooyuball, Slushie Slinger, Make Some Noise and Shootout Showdown. The curse of slipping in the ranks after winning doesn't seem to even faze this team! It was a strong battle but at the end of the day Team Meridell and Team Darigan Citadel are just going to have to shake hands. It's great to be civil, right? Close wins and losses for both of these power teams, with Meridell triumphing with wins in Yooyuball and Shootout Showdown, while Darigan Citadel fought back with their own successful wins in Slushie Slinger and Make Some Noise. Closing out the Alabriss Bracket is Team Lost Desert and Team Kiko Lake. It seems as though Lost Desert couldn't dry out those Kiko Lakers, only gaining one win in Make Some Noise while Kiko Lake dominated with three wins in Yooyuball, Slushie Slinger and Shootout Showdown. I think it's time for Lost Desert to start bringing the heat! Our next bracket is the Minitheus Bracket, which invovled two ties and one sweep. Maraqua battled Krawk Island, Tyrannia dominated Haunted Woods and Terror Mountain struggled for power against Brightvale. Team Maraqua couldn't quite leave Team Krawk Island behind swimming in their bubbles yesterday, but still managed to grab close victories in Yooyuball and Make Some Noise. Krawk Island wasn't going down without a pirate flag flying somewhere, taking their own close victories in Slushie Slinger and Shootout Showdown. Ugga SMASH!! Team Tyrannia comes out on top today, taking an entire sweep in Yooyuball, Slushie Slinger, Make Some Noise and Shootout Showdown against their spooky opponents, Team Haunted Woods. It seems the scariness of the Haunted Woods is only effective on some teams. Time to get more tactical! Another handshake was needed in the close round of Team Terror Mountain vs. Team Brightvale. Books and snow were thrown from these two teams all day in the Minitheus Bracket, causing avalanches and.. learning. Terror Mountain gathered enough slushies and goals to take wins in both Slushie Slinger and Shootout Showdown, while Brightvale screamed and held their own in Yooyuball and Make Some Noise. Our last team matches in yesterdays' Vaeolus Bracket were Virtupets vs. Roo Island, Moltara vs. Shenkuu and Altador vs. Faerieland. In all three matches we saw full sweeps! Those who came out on top are Team Roo Island, Team Shenkuu and Team Altador. Better luck tomorrow Team Virtupets, Team Moltara and Team Faerieland! Come back tomorrow for our report on Day 2! Remember that we also have some amazing shields at our AC Graphics page for you all to use. Now get out there and start defending (or fighting for) the greatness of your team! A new Mystery Capsule is in Future Fashions at the NC Mall. The Altador Cup Champions Mystery Capsule gives you the opportunity to recieve 3 different LE items and any item in the Altador Cup Shop 150NC or less! Don't have acces to Future Fashions? This capsule will come for sale in the NC Mall within 72 hours. Check out our Future Fashions guide for more information. Altador Cup VIII Has Returned! Alabriss Bracket: Kiko Lake, Kreludor, Darigan Citadel, Lost Desert, Meridell and Mystery Island. Minitheus Bracket: Tyrannia, Maraqua, Brightvale, Krawk Island, Terror Mountain and Haunted Woods. Vaeolus Bracket: Altador, Roo Island, Virtupets, Shenkuu, Moltara and Faerieland. Ready to fight for your team to make it to the top? Start playing some Yooyuball to get things going! Still a little bit confused on how the Altador Cup VIII works? Check out SunnyNeo's Altador Cup Abbreviations & Common Terms page. Remember to check back tomorrow at our Altador Cup Coverage page for all things Altador Cup VIII along with detailed updates on every bracket each day! The Altador Cup has just begun! We have updated our Altador Cup guide with the newly released info such as today's match schedule. Don't forget to show off your team support with these lovely Altador Cup Graphics and Fonts! Moltara has a new goalkeeper, Harlis Neyhbol, coming from Tyrannia, has joined this team. On the other hand, goalkeeper Mor Gollog from Moltara is playing for Tyrannia from this year on. Meridell is the only team this year to come with a brand new player. Ethel Boortz, an Elderlygirl Ixi, has joined the knightsquad. Today is the first day to sign up for the Altador Cup. Upon picking your team, you should receive 150 NC. If you played in previous years, you will also receieve a wearble item for your team. There will also be an NC event starting June 2nd called Fanatic's Museum. We will post more information on this event as more is revealed. Having trouble choosing a team this year? Check out our Altador Cup Team Quiz. Have you already picked your team? Show your support with some nifty team graphics. To the sign ups page!! There is a new background this year that was awarded for playing the Altador Cup for seven years before ACVIII. A new New Gift Box capsule is selling in the Future Fashions shop in the NC Mall. 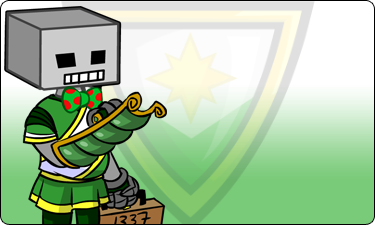 Get into the Altador Cup spirit with the Techo Fanatic Gift Box Mystery Capsule! Looking for the perfect background to use this AC season? Look no further. We have a brand new selection of AC backgrounds for you to use! Head on over to our Altador Cup Graphics page for all your AC graphic needs. Preparing to join your favorite AC team soon? Be sure to use one of our new Altador cup shields to show your team pride! Also, check out the many other shields we have for you to use on our shield graphic page! Altador Cup VIII Shop Now Open!! The Altador Cup VIII NC Mall Shop is now OPEN! It's officially time to start getting your gear ready for the start of the season. A countdown has also appeared up at the Colosseum for team sign-ups. Unsure about what team you're interested in joining? Take our Which team should you join? Quiz! I need a trunk just to store all my AC clothes! Possible AC VIII Team Changes! Wow, where has a year gone! We have just recently gotten a glimpse into this years Altador Cup VIII starting with possible team changes. Harlis Neyhbol, Team Tyrannia goalkeeper, is a possible transfer to Team Moltara. Well, at least he's already used to extreme heat! But what does this mean for current Moltara goalkeeper, Mor Gollog? We'll keep you updated with further information soon to come as the news surrounding the Altador Cup unfolds. Time to read up on some Altador Cup history!! Want to reminisce on past victories, educate yourself on the competition, or start to weigh your team options? Check out our Altador Cup Coverage page for any and all details on Altador Cup VIII!